One of the keys to a healthy financial plan that can help you reach your monetary goals in life is finding a trusted and expert financial advisor in Chicago. But the search can be onerous due to the sheer number of wealth managers in Chicago, IL to sort through. Simply narrowing down your options to a handful of firms can take days of research. Plus, if you’re not sure what the two different fee structures mean, you could end up unhappy about your ultimate choice. 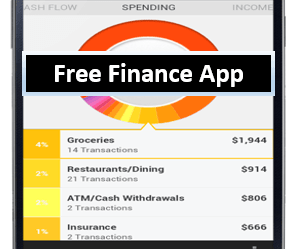 One accepts commissions for selling financial products (fee-based) and the other doesn’t (fee-only). 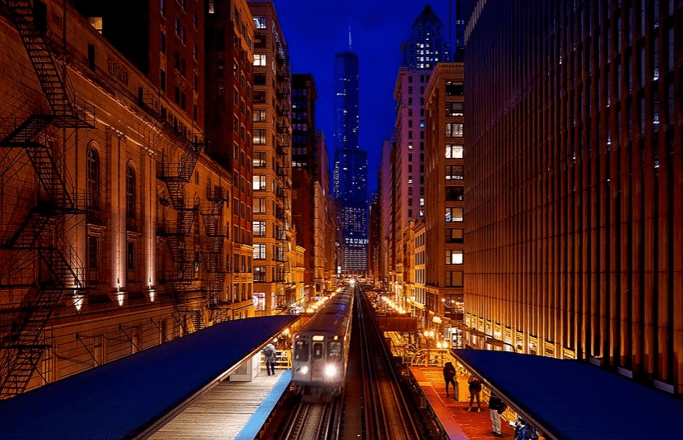 Chicago is the third most populous city in the U.S., with nearly 10 million people. That means it’s also a city full of people looking for Chicago financial planners to help them chart their course to financial independence. 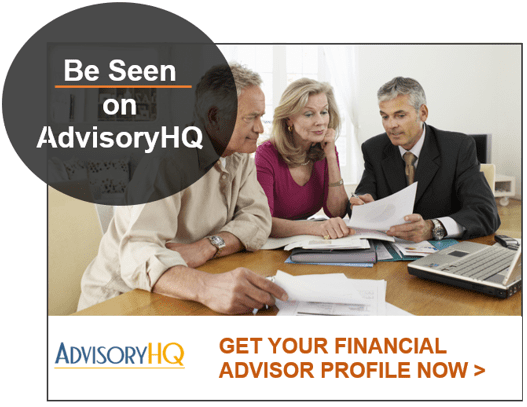 AdvisoryHQ can save tons of research time and narrow down your options because we’ve done the legwork for you. We’ve researched and rated 11 top financial advisors and wealth managers in Chicago, Illinois. This ranking of Chicago’s best of the best in the finance field focuses primarily on fee-only firms that do not accept commissions for selling 3rd party products, however, there are occasionally fee-based firms with strong client commitments that make our list. Whichever fee structure these top Chicago wealth management firms work with, they’re top-rated because they excel in terms of their reputation, level of service, and their client-first approach. How do you know which financial advisor in Chicago, IL will fit your financial needs and personality best? 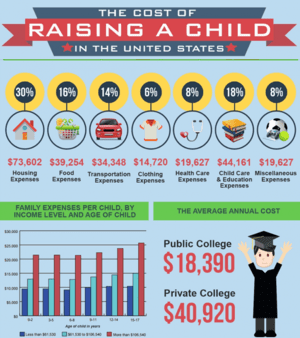 We’ve got a few factors to help you further narrow down your options. While many firms may have similar general wealth management services, there are certain differentiators that will help one stand out over another. 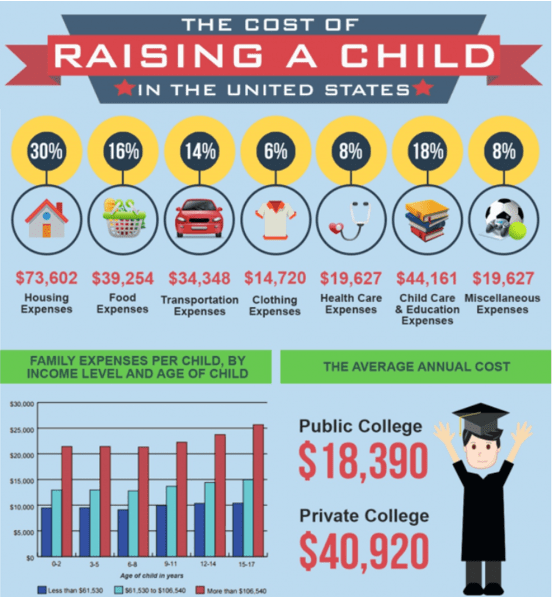 Here are a few factors to consider. What Wealth Levels Do They Work With? Some Chicago wealth management firms will work with all wealth levels and welcome those just starting out financially. Others will only work with high-net-worth individuals, families, and organizations that meet a minimum investable assets level. If you have generational wealth in your family, you may want to find a financial advisor in Chicago, IL that offers family office services. If you’re an entrepreneur, a financial planner that also provides tax services could be a great value. Look for which additional services each Chicago financial advisor offers, as they can differ from firm to firm. 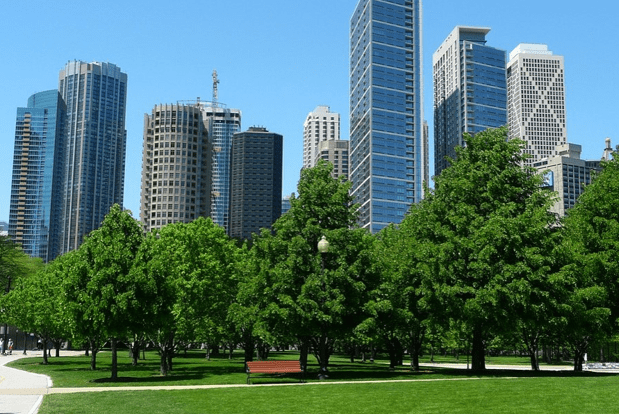 You can find wealth managers in Chicago, Illinois that specialize in things like retirement planning, transitions (like divorce, inheritance, etc..), women’s finances, young entrepreneurs, and more. See if your specific situation matches any of a firm’s specialties. Not all financial advisory firms in Chicago have the same way of doing things. Some are more “by the book” while others like breaking the mold. You’ll also find wealth managers that are extremely professional and polished and others that hug you when you come in the door and treat you like family. Going through a Chicago investment advisor’s website can give you some insight into their personality. Below, please find a detailed review of each firm on our list of 2019 top financial advisors and wealth managers in Chicago. We have highlighted some of the factors that allowed these Chicago financial advisory firms to score so high in our selection ranking. Taking a fresh approach to financial planning is Basil Financial Group. Founder, Lois Basil, initially ran her own accounting firm for 13 years and then transitioned into becoming a Chicago financial advisor. Basil Financial takes a teamwork approach with their clients. Working with them in a comfortable and confidential environment where they can feel free to discuss all their financial issues, dreams, and goals. This wealth management firm in Chicago, IL is fee-only and does not sell any products on a commission basis. They take a holistic approach to financial planning, including all facets of your finances and adjusting your plan as circumstances change. People often end up going to different providers for investments, insurance, tax preparation, estate or retirement planning. This can mean that their financial strategy is fragmented and not fully working in concert. Basil Financial understands the benefits of a holistic approach to ensure all pieces of a client’s finances are working in coordination to help them reach their goals. This Chicago financial advisor takes time to understand your lifestyle, what’s important to you, and all the various areas of your finances to give you a complete and holistic strategy. When working with Basil Financial, you’ll get much more than just investment advice, they offer a full range of services that include things like functional asset allocation and tax planning. Here is an overview of just a few of the extra services you can find at this financial planning firm in Chicago. Estate Planning—This includes assisting with much more than just a will, estate planning includes addressing medical provisions for special needs dependents, minimizing estate taxes, and more. Tax Planning—Experienced tax planning guidance to help you navigate changing tax laws and avoid overpayment. Portfolio Analysis—Understand how well your portfolio is working for you, including tax efficiency, performance, diversification, and risk. Investment & Asset Allocation—This helps to protect you during market downswings by taking a full approach to asset allocation beyond just typical stock market investments. Business Planning—Small business clients can gain expert advice into financial areas, like cash flow and risk, that can make a huge impact on their bottom line. While Basil Financial Group may be one of the smaller Chicago financial advisory firms on our list, they absolutely provide a full package of support and services that any client would be happy to have. This fee-only wealth management firm in Chicago, IL takes a friendly and holistic approach to financial planning. Their firm personality not only makes clients feel comfortable addressing all financial concerns but also provides them relief with a plan that addresses their immediate needs and goals for the future. Their client-first attitude and uncomplicated approach to financial planning have earned Basil Financial Group a 5-star rating and a spot on our list of the top-rated wealth management firms in Chicago, Illinois. Chicago Partners Wealth Advisors was founded in 2008 and has its roots in Managing Partner Jim Hagedorn’s work leading the wealth management program for PricewaterhouseCoopers. This top-rated Chicago wealth management firm manages over $1.8 billion dollars and works with high-net-worth individuals, foundation, and corporations. The firm is a fee-only financial advisor that also takes on a fiduciary commitment to always act in their clients’ best interest. Clients of Chicago Partners won’t have to worry about conflicts of interest in their advice. They are truly an independent Chicago financial advisory firm due to the fact that advisors don’t receive compensation for recommending certain investment products. The expert advisors at Chicago Partners operate as fiduciaries on behalf of their clients, making a legal commitment to put the client’s best interest at the forefront of everything they do. This independent structure that’s completely client-focused ensures all the investment recommendations made by this Chicago wealth manager are focused on choices that deliver the desired results to reach each client’s goals. Investment Consulting—Meant to gain a complete understanding of each client’s goals, risk profile, and unique portfolio construction. Investment Management—Your Chicago financial advisor will build a diversified portfolio and monitor progress to ensure that financial goals will be met. Tax Planning & Preparation—An additional component that tax efficiency and maximize after-tax gains. Advanced Financial Planning—Extending your financial strategy past just investment, to include optimization of estate plans, lines of credit, mortgage solutions, and more. Fiduciary Relationship—Clients have ongoing access to a Fiduciary Registered Investment Advisor (RIA) to ensure that they receive unbiased advice always. An ideal choice for individuals and organizations in the high-net-worth bracket, Chicago Partners Wealth Advisors embodies the ideal relationship between client and financial advisor with a fee-only, fiduciary approach. Clients can trust that all recommendations are made with their best interest in mind, while also benefiting from their transparent fee structure, knowing exactly what they will pay, eliminating costly surprises down the road. Chicago Partners’ comprehensive 5-step process reflects industry expertise and a deep desire to start client relationships from a base of full understanding of their needs, solidifying the firm’s 5-star rating as one of the best Chicago financial advisor to consider in 2019. Offering unbiased financial guidance to families and individuals with $500,000 or more in investable assets, Financial Solutions Advisory Group is a top financial advisory firm in Chicago looking for long-term relationships with their clients. This fully independent, fee-only Chicago wealth manager offers unbiased and expert financial advice. They also have an open-architecture investment platform that leaves them free to choose the best manager, analysts, and solutions for each client’s unique needs. If you’re looking for a more attentive relationship with a financial advisory in Chicago, IL, then you’ll appreciate that Financial Solutions Advisory Group has a low client-to-advisor ratio. By keeping a manageable number of clients assigned to each advisor, these Chicago financial advisors ensure that you’ll receive the utmost in client service and attention throughout the investment process. This personal attention also means that your portfolio will be managed regularly and with a high degree of customization to make sure that your financial needs are being met. As a result of the firm’s low client-to-advisor ratio, this Chicago wealth management firm provides consistent, in-person meetings to keep up with any changes in your life that would impact your portfolio allocations and make necessary changes to stay on track. Financial Solutions Advisory Group is an excellent option for those with at least $500,000 in investable assets, and their commitment to always put client needs first, offers a foundation of trust. This top Chicago financial advisor also offers complimentary financial reviews to help new clients see if their services are a good fit for their particular financial needs. 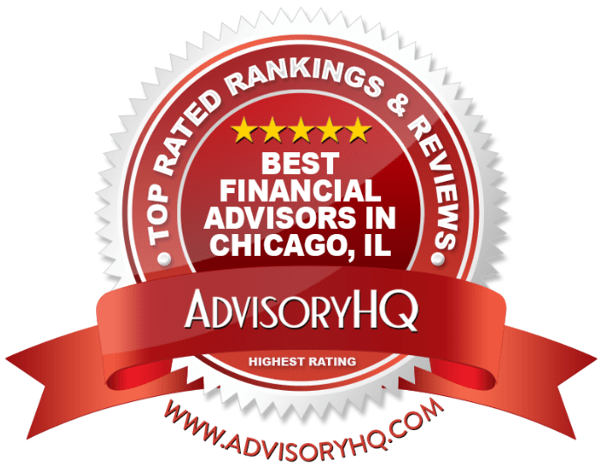 With a low client-to-advisor ratio and a philosophy based on collaboration and long-term relationships, Financial Solutions Advisory Group is one of the top financial advisors in Chicago to consider partnering with this year and earns a 5-star rating. Private Vista believes that everyone should have a “private vista” to reflect upon their life’s goals and make sound decisions based upon aligning their finances with their future dreams. This financial planning firm in Chicago is a fee-based, and as such, they are free to accept commissions for selling financial products. But to help offset any potential conflict of interest, Private Vista has taken on a fiduciary commitment to be completely transparent and to put client’s needs ahead of their own. One of the components that makes Private Vista one of the top financial advisory firms in Chicago is their dedicated focus to providing enlightening financial services for women. Whether a client is going through a life transition—like divorce and widowhood—or a busy executive without the time to plan their financial future, Private Vista prides itself on providing a welcoming environment. As a fee-based Chicago financial advisor, having a fiduciary commitment is vital to differentiating themselves from the competition and establishing client trust. For many clients, it can be difficult to overlook the potential conflicts of interest that existing in the fee-based world, as they wouldn’t be completely sure if the Chicago financial advisor was choosing products solely on their portfolio needs. Private Vista stands out for taking a next-generation approach to wealth management that is centered around their client’s financial goals and possibilities. Their focus on starting from a base of confidence and education denotes a financial advisor in Chicago that takes the time to get to know their clients and be sure they’re a full partner in planning for their financial future. While financial services for women are growing in popularity, this firm’s type of personalized focus is unique, earning Private Vista a 5-star rating among the best financial advisors in Chicago to consider partnering with in 2019. Savant Capital Management is a Chicago-based, fee-only fiduciary wealth management firm. It is completely independent and does not have any sales quotas, so you know that its team of advisors is working entirely in your best interest when choosing portfolio products. Savant doesn’t believe in “one size fits all,” they tailor their services to each client’s individual circumstances and financial goals for the future. 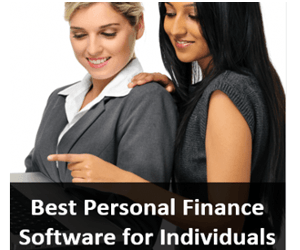 This allows them to create a comprehensive financial plan that is custom-made. The team approach of this top financial advisory firm in Chicago, IL means you have the full benefit of multiple professionals, all with expertise in a different financial area. The multiple perspectives of their financial advisory team also mean your portfolio and financial plan is as robust as possible. As a fee-only Chicago financial planner, Savant makes a commitment to always place their clients first in everything they do. 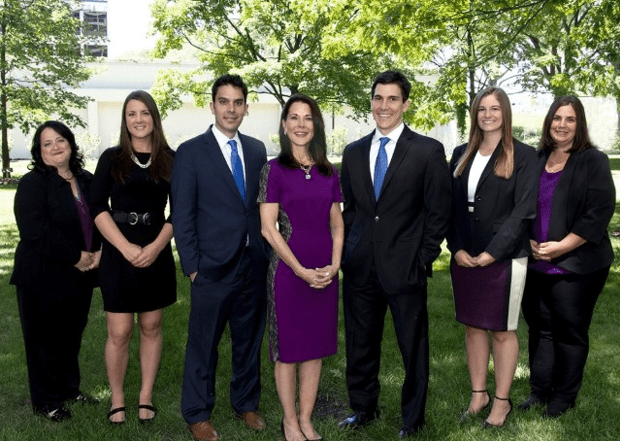 They offer a unique niche with affordable Family Office Services and an Accelerator Program for young professionals that sets them apart from other wealth management firms in Chicago. With three detailed, proprietary approaches to financial planning and a completely personalized approach, Savant scores another 5-star rating as one of the best Chicago financial advisors you’ll want to consider in 2019. The Mather Group has clients that work at some of the world’s largest companies. They are a fiduciary fee-only Chicago financial advisor that prides themselves on providing conflict-free financial advice. Without any extra fees, they say that their Passive Investment approach is 60% lower in cost than a comparable mutual fund portfolio. Their specialty is providing expert, low-cost investment solutions along with a wide range of other financial services. At some point most of us want to retire comfortably, but how that looks is very different for each person. The Mather Group’s TMG Retirement Roadmap™ is designed to create the right portfolio for each person that’s flexible enough to account for both lifestyle and market changes. Discovery: The process of learning about you and your lifestyle goals to secure a framework for a comfortable retirement, including the inventory of balance sheet, cash flows, taxes, and insurance. 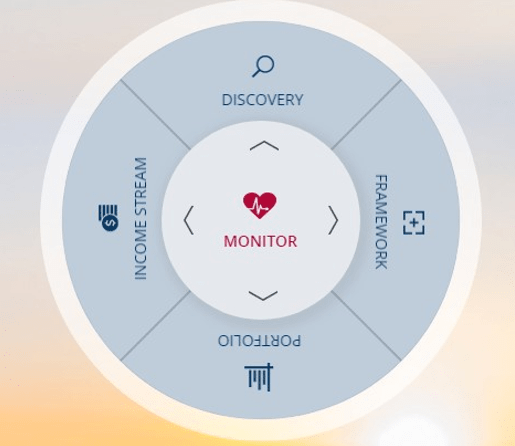 Framework: This step includes identification and mitigation of any risks and use of a leading academic theory and collaboration with you to lay down the framework of a successful financial plan. Portfolio: They recommend the right investment solutions for your goals based upon your risk tolerance and any constraints of your retirement framework. Income Stream: This is the point where your portfolio will begin generating an income stream to compliment any other compensation you receive, such as Social Security. This Chicago financial planning firm offers a very specialized type of financial guidance in their Expat Services. They’re designed to provide expert guidance through the expat journey, which can include moving abroad for work, retirement, or just a life-changing experience. Their financial services for those living abroad include guidance before, during, and after your move, whether you choose to stay overseas or come back to the U.S. The Mather Group provides a unique mix of world-class financial services at affordable prices, allowing many professionals to take advantage of personalized and expert financial guidance. Their commitment to designing tailor-made portfolios for every client and taking a comprehensive and fresh approach to retirement planning, make them a top financial advisory firm in Chicago to consider partnering with this year and have earned The Mather Group a 5-star rating. Founded in 2000, The Mosaic Financial Group has been providing financial guidance to the people of Chicago and around the country for nearly two decades. Mosaic a fee-only, fiduciary, and independent financial advisor in Chicago that serves individuals and families, business owners, and corporate executives. With service offerings including investment advisory, tax planning, financial planning, and more, The Mosaic Financial Group is a full-service firm for financial planning and wealth management. Similar to other top financial advisory firms in Chicago that appear on this list, The Mosaic Financial Group puts its client’s best interests at the front and center of every move it makes. But these Chicago financial advisors go above and beyond, offering each client a well-rounded service package engineered for each of the individual services to complement and strengthen each other. For example, Mosaic considers the tax implications of your estate planning, succession planning, and retirement planning, which tie into services designed to lessen your tax burden by making your overall strategy more tax-efficient. This Chicago wealth manager considers all aspects of a client’s finances, including family concerns, financial planning, and insurance needs. By utilizing as many of their services as possible, they can strengthen your wealth management plan across the board. As a top-rated Chicago financial advisor, Mosaic has multiple professionals on staff with qualified designations to their name. Some of these include investment specialists, Certified Public Accountants, and Certified Financial Planners, among others. Mosaic leverages the unique talents of their team members to create a powerful group management approach. More than one set of qualified eyes review each individual portfolio, with every team member contributing their own expertise. If you’re looking for an approachable top financial advisor in Chicago where you can freely ask questions and be an active participant in your financial planning process, Mosaic is a great option. The Mosaic Financial Group actively encourages clients to bring their questions or concerns—without the worry of being billed by the minute or trapped in a voice-mail system—emphasizing the firm’s openness and approachability. Combined with their full range of seamless service offerings and a team-based approach, the accessibility of Mosaic scores the firm a 5-star rating overall as one of the best financial advisors in Chicago to consider this year. The Planning Center has been serving clients in multiple locations throughout the country since 1998. Besides being a top-rated financial advisor in Chicago, they also serve clients in Alaska, Fresno, New Orleans, Quad Cities (IL/IA), Tulsa, and Twin Cities (MN). This Chicago wealth manager is a fee-only fiduciary, delivering unbiased, conflict-free advice and sound investment strategies. A unique aspect of this Chicago team of financial advisors is that their team includes a psychologist, allowing clients to benefit from an approach that incorporates psychology and behavioral finance. Dealing with finances and financial planning can naturally cause people to experience anxiety, frustration, or depression about financial matters. The Planning Center offers emotional support and an objective 3rd party view to help clients make the best financial decisions. You won’t be disappointed with the wide range of services offered by this top financial advisor in Chicago. Whether you’re interested in debt management or have philanthropic interests, The Planning Center provides a robust set of services to choose from. 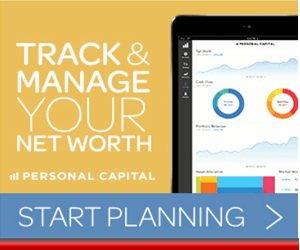 The Planning Center offers an uncomplicated approach to wealth management and financial planning. As a fee-only fiduciary, they also exemplify the high standards of transparency and commitment that come from always putting the client’s best interest first. With offices in multiple states, this Chicago wealth management firm also brings a depth that not all other firms enjoy, with the ability to assist clients across the country, even in Alaska. With comprehensive services, an experienced team, and the benefit of adding psychology and behavioral finance strategies, The Planning Center is one of the best financial advisors in Chicago to consider working with in 2019 and earns a 5-star rating. Timothy Financial Counsel was started in 2000 to help people in Chicago that weren’t being well served by traditional wealth management firms. As one of the best financial advisors in Chicago, Illinois, they have a fee-only structure and conflict-free approach. Something entirely unique to these Chicago financial advisors is their flexible fee option. Timothy Financial provides financial planning services on an hourly basis, which allows clients to pay just for the time they need. Financial Counsel stands out from other financial advisory firms in Chicago and the U.S. due to their unique model that allows clients to pay only for the time they use. Hourly fee rates are determined according to the number of services you will be utilizing, the type of services, and the specific advisor to whom you are assigned. This approach makes financial planning services more affordable to a larger variety of investors, illustrating this Chicago wealth management firms continued a commitment to helping people from all wealth ranges with expert financial advice. Additionally, their fee ranges and hourly rates are easily found on their website and are divided into six different levels of service which range from rates of $220-$280 per hour. Not all financial advisors in Chicago dedicate an entire team to review your portfolio and investment plan. Many advisory firms assign you to a single advisor. However, Timothy Financial Counsel purposely has a low client-to-advisor ratio that allows them to include each Chicago financial planners with varying areas of expertise in crafting your unique financial roadmap. 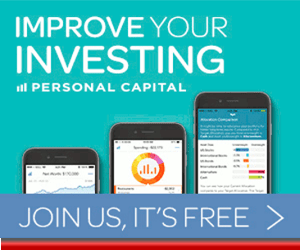 This gives your portfolio the benefit of multiple points of view and knowledge base to tap to ensure a full-bodied approach that reflects your distinct financial needs and future goals. The one-of-a-kind hourly rate structure of Timothy Financial Counsel is a refreshing change for many investment clients and allows them to pay for just the advice they’re looking for. This approach allows clients more control over what they spend on Chicago wealth management, and also provides additional transparency, building trust between clients and their financial advisors. 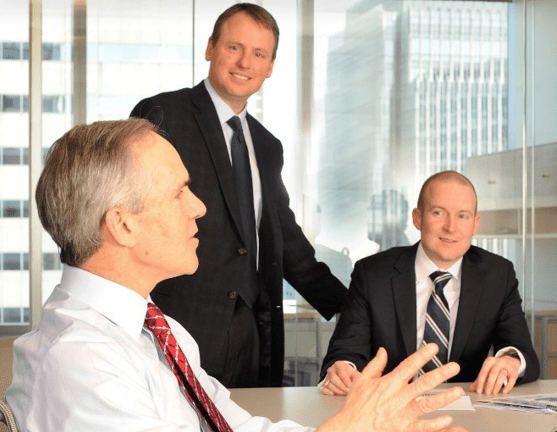 When considering the firm’s unique pricing structure, flexible service plans, fee-only commitment, and a team-based approach, Timothy Financial Counsel solidifies their 5-star rating and position as one of the best and most accessible financial advisors in Chicago. For more than 22 years DeRose Financial Planning Group has been serving the Greater Chicagoland area, providing practical and holistic financial advice. As a part of Lincoln Financial Advisors, DeRose is a fee-based Chicago wealth management firm, meaning beyond just client fees, they are also free to accept commissions from the sales of financial products. Although we generally focus our rankings on fee-only financial advisors, DeRose was included due to a long, successful history in the business, their well-defined planning approach, and their excellent reputation. 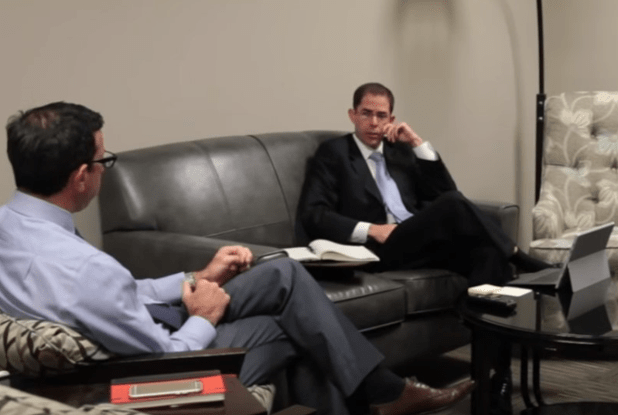 The one-on-one collaboration with clients for both investment management and financial planning is something that makes DeRose Financial Planning popular with clients. Their decades of experience and a wide range of expertise in a variety of financial areas further help this Chicago wealth management firm stand out from the competition. One disadvantage is that DeRose is not quite as transparent as competing firms on our list. Our review was unable to find any mention of fee structure or a fiduciary commitment on their website, which could make it harder for potential clients to fully evaluate the firm. Despite that drawback, DeRose has a lot to offer Chicagoans seeking any number of financial advisory and wealth management services, which earned them a place among our top-rated Chicago financial advisors with a 3-star rating. With more fee transparency and a fiduciary commitment, they could easily score higher in the future. FourStar Wealth Advisors is a fee-based independent wealth management firm in Chicago. Although they are free to accept outside commissions, we have included them in our ranking due to their commitment to serving their clients free of any conflicts of interest. This Chicago financial advisor believes in creating a path to financial success for their clients with a comprehensive plan. They help clients identify what’s most important to them and then formulate a strategy for success in reaching financial goals. Build: This period is when people are building their lives, and it can be a period as long as 40 to 55 years. These Chicago financial advisors help clients during their “build” phase with smart saving and investing choices to keep them on track for the future. Live: After the build phase has wrapped up, this top wealth manager in Chicago believes that it is time for you to “live.” This is the retirement phase when you will be living off your earnings while creating very little or no new income. Share: The “share” phase can happen at the same time as the other two and it denotes philanthropic endeavors or just a desire to share the wealth with friends and family. FourStar helps clients with plans that accomplish their giving goals with a tax-smart strategy. 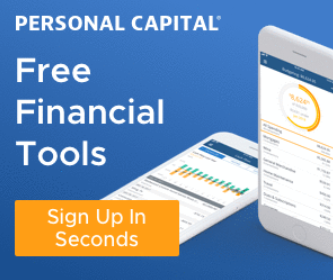 FourStar Wealth Advisors provides several unique client educational resources on their site, including a financial podcast to help keep clients in the know about a variety of financial topics. This goes to show that this top-rated Chicago wealth manager places a strong emphasis on empowering clients to improve their financial literacy. FourStar Wealth Advisors stands out among other financial advisors in Chicago due to their comprehensive and forward-thinking approach that to financial planning that takes all stages of life into consideration for a holistic financial strategy. However, when it comes to offering additional financial services, FourStar doesn’t quite offer the details would help potential clients fully evaluate the value of each service, resulting in a 3-star rating overall. But we feel FourStar could easily get a higher ranking in the future as a top Chicago financial advisor to consider with a little more in-depth information on their site for potential clients. No matter what your financial bracket or stage in life, one of these top Chicago financial advisors can help you formulate a financial plan that will take your needs and dreams into consideration. If you’re considering working with one of these best wealth management firms in Chicago, it’s a good idea to request an initial consultation and take advantage of any offerings of a free portfolio review. This will help you get a feel for the firm and what they’re like to work with. Whichever financial planner in Chicago you ultimately choose, you can feel good knowing you’re taking that first step towards your own financial well-being and shaping your future with smart planning today.